Looking for the best neighbourhood in North Vancouver? Look no further, as Lower Lonsdale offers some of the best lifestyle and real estate choices on the North Shore. 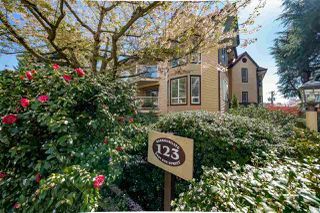 North Vancouver is known for quiet family neighbourhoods with ample park space and fantastic schools. Lower Lonsdale is a departure from this concept by offering its residents the best combination of urban downtown living with many Lower Lonsdale condos for sale, a waterfront community lifestyle and top ranking walkscores. The Lower Lonsdale area does have a few ‘character’ homes in the area, but most of the Lower Lonsdale properties for sale consist of condo buildings and townhouse develoments. The dense number of apartments and new, trendy boutique shopping, restaurants and cafes has drawn much of the North Shore’s younger population to live in the area. Lower Lonsdale is located along the Vancouver's North Shore of the Burrad Inlet, which offers the best of waterfront living, best city views and access to downtown. The SeaBus connects Lower Lonsdale to Coal Harbour in downtown Vancouver, making it a great alternative for those looking for downtown access or business commuting with the lifestyle choice of North Shore living. The Lonsdale Quay and Shipyards are a popular local attraction which provides host to some of North Vancouver's best events, attractions, and festivities. Looking for the best Lower Lonsdale properties for sale in North Vancouver? Browse all the MLS® property listings currently for sale in Lower Lonsdale. 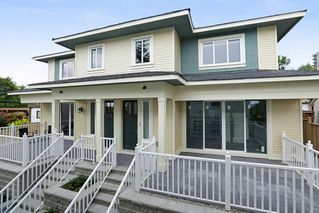 Choose a tab below search Lower Lonsdale houses for sale, Lower Lonsdale condos for sale, Lower Lonsdale towhomes for sale, or Lower Lonsdale open house listings for this weekend. 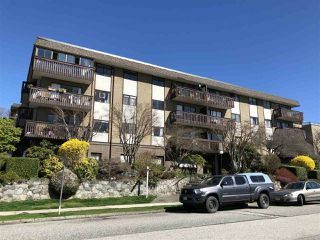 Click on a listing for additional property details or contact us if you are interested in viewing a property or listing your home for sale in North Vancouver. The Lower Lonsdale area is serviced by the North Vancouver School District #44 and features some of the best elementary and secondary schools to choose from. Lower Lonsdale elementary schools include Ridgeway Elementary School, Queen Mary Community School (located in Central Lonsdale), and St. Edmund's Elementary School. Secondary Schools serving the Lower Lonsdale neighbourhood include Carson Graham Secondary (located in Central Lonsdale), Sutherland Senior Secondary (located in the Boulevard area) and St. Thomas Aquinas High School. For more Lower Lonsdale school information, you can also visit the North Vancouver School District website and additional resources provided below. We specialize in Lower Lonsdale best real estate in North Vancouver and feel passionate about not only living here with all this natural beauty at our doorstep but fortunate and privileged to buy and sell real estate on Vancouver's North Shore. We really look forward to hearing from you and helping you find your perfect home! How's Lower Lonsdale real estate? Find out with Market Snapshot. Access live MLS activity, price trends, listing-to-sales ratios, new listings, and housing stats exclusively for the Lower Lonsdale neighbourhood in North Vancouver!